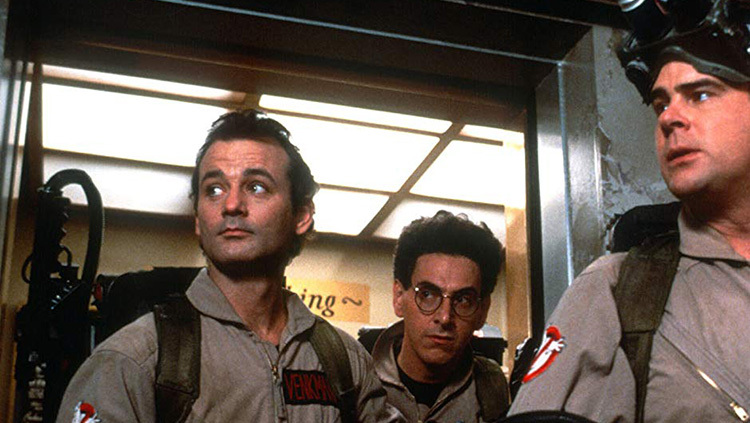 Nearly 35 years ago, audiences were blessed with the classic paranormal comedy Ghostbusters starring Bill Murray, Dan Aykroyd, Ernie Hudson, the late Harold Ramis, Sigourney Weaver, and Rick Moranis. Five years later came Ghostbusters II, and over the past 30 years Dan Aykroyd has kept the dream alive for a third installment of the original Ghostbusters story. During an episode on The Big Interview with Dan Rather, Aykroyd said, “There is a possibility of a reunion with the three remaining Ghostbusters. It’s being written now.” He added that Murray, who has previously expressed reluctance at being involved with a third sequel or reboot, might come around because of how good the story is. This isn’t the first time rumors have cropped up about a Ghostbusters continuation. Aykroyd has been persistent about the possibility of another movie for years now, refusing to admit the very real likelihood that it may never happen. The actor/filmmaker heads a company titled Ghost Corps that was formed in March 2015 by Sony Pictures Entertainment in order to expand the Ghostbusters universe. Aykroyd, along with Ivan Reitman and Reitman’s Montecito Picture Company partners, created the company to develop more projects including films, television series, animated shows, and gaming. It may be naive of Aykroyd to expect a Ghostbustin’ reunion, but you can’t blame him for refusing to let go of the dream. He co-wrote the original Ghostbusters, which earned two Oscar nominations and three Golden Globe nominations, and its 1989 sequel. He executive produced Paul Feig’s female-led 2016 reboot, in which he also had a cameo alongside Murray, Hudson, and Weaver in original roles. Aykroyd was notably very supportive of the remake, embracing the modern take on the hit franchise he helped create. The man has certainly played his part in keeping the Ghostbusters universe alive. Whether or not we’ll ever get to see Aykroyd, Murray, and Hudson suiting up again, there might be an animated Ghostbusters feature on the way from Ghost Corps to look forward to. The project, given a possible release of 2019 or 2020, is said to be told from a ghost’s perspective, exploring the ghost world from a new lens. Maybe the remaining Ghostbusters trio could lend their voices to the film and give Aykroyd his reunion after all?